When Chad Smith, coordinator of Athletics and Intramurals at Thomas Nelson, was looking for a new men’s basketball coach, one name stood out: Chris Moore. 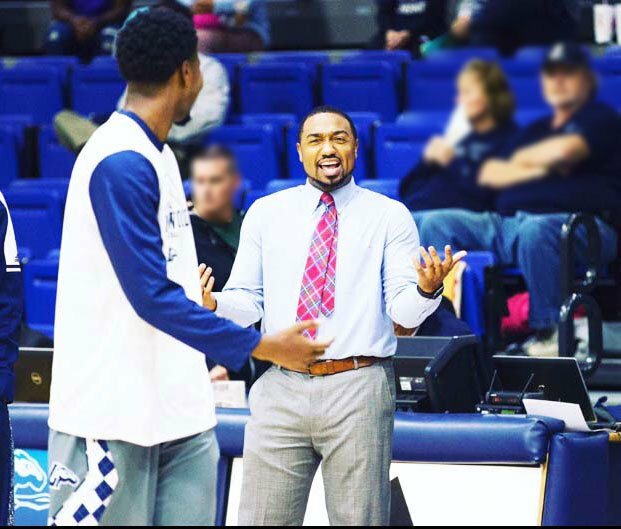 Moore, from Newport News, was the director of basketball operations at Longwood University after previous assignments at Mount St. Mary’s University, Chowan University, John Marshall High School in Richmond and Menchville High School. He played at Warwick High School. His introduction to the game, however, started when he was much younger as his father, Ben Moore, coached for nearly 30 years in the Peninsula District before passing away in December 2017. And for good measure, Chris attended Thomas Nelson for four or five semesters beginning in the fall of 2008. The decision was an easy one for Moore, as well. “I felt like I owed it to my community and my city to come back and bring my expertise and the things that I’ve learned over these last couple of years at the Division I level back to the city and help guys,” he said. Moore’s first official day on the job was Oct. 1, and his first official team practice was Oct. 21. The season starts Nov. 3 with a 4 p.m. game at Bethel High School against Vance-Granville Community College. He has a full-time job as the graduation coach at Heritage High School, so he has a lot of student support responsibilities. He likes that aspect of the coaching job also. Smith also knew Ben Moore. The two had conversations over the years about the father coaching at Thomas Nelson, but it never worked out. “I didn’t get the father, but I got the son,” Smith said. Former Thomas Nelson coach Armand “Ant” Brown, who died in September, will be honored at halftime of the season opener. In addition, the team’s game in Martinsville on Nov. 10 against Patrick Henry Community College (PHCC) is being called “The Kenny Wade Classic.” Wade, who also died in September in a car accident, was the PHCC coach. Both Wade and Brown will be honored at the game.